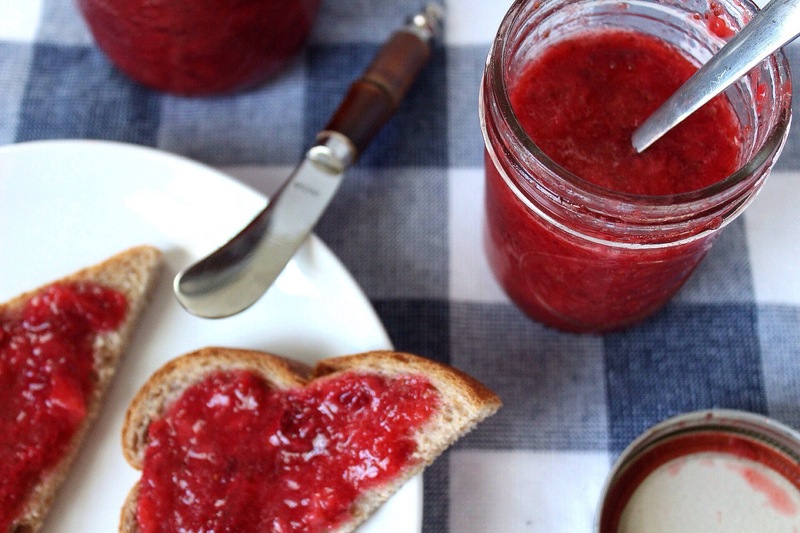 The sweetest and easiest homemade strawberry jam you will ever make. Only four ingredients, perfect for toast, crackers, and of course PB & J’s. I’ve never made homemade jam before, but let’s just say after tasting this, I’m never going back to buying it in the store again! 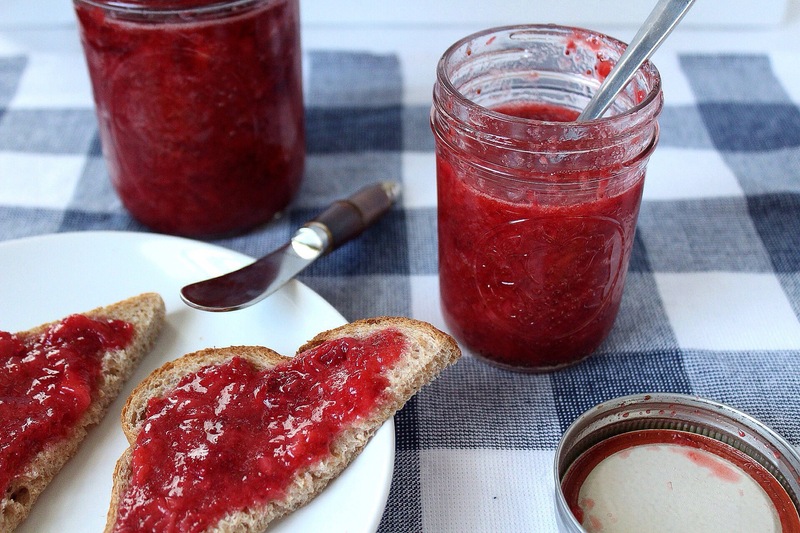 This jam was incredibly tasty, and it was also so easy to make! I cooked it right in the crockpot and all it took was two hours! With strawberry season starting (in Connecticut), you’ll want to hit your nearest picking patch and get cooking! Remove stems from strawberries and cut in half, place in crockpot. Add the rest of the ingredients to the crockpt, stir well. Uncover, stir the jam and cook for another hour. Pour strawberries into a blender or nutribullet and blend for 3 seconds or until reach desired consistency. Ladle the jam into tightly sealed jars. Allow to cool, cover, and refrigerate or freeze. Stays fresh in the refrigerator three weeks or up to one year in the freezer. The recipe makes about 3 cups of jam.